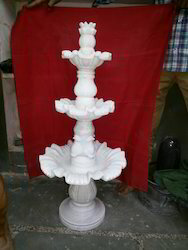 We are a leading Manufacturer of white marble fountain, marble fountain for garden, stone lotus fountain, marble water fountain for garden and white marble fireplace from Jaipur, India. Owing to our extensive years of industry experience and profound market understanding, we are providing a wide gamut of White Marble Fountain. The offered fountain is designed in compliance with industry quality standards using modern machines and latest technology. We offer this statue in diverse finishes and sizes, in compliance with details specified by clients. Moreover, we provide our esteemed clients with the entire range at market leading prices. 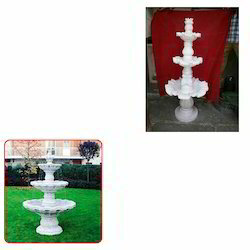 To fulfill diverse requirements of our valued clients, we are engaged in offering an elegant range of Marble Fountain for Garden. This fountain is intricately carved by our experienced craftsman using cutting-edge technologies and modern tools in sync with the industry standards of quality & design. Our entire range is specially designed to suit the artistic tastes of our noteworthy clients and can be subjected to customization as per client-specific requirements. 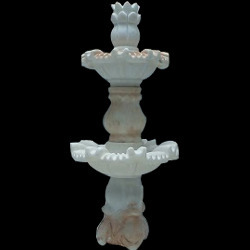 We are reckoned amongst the notorious organizations of a broad array of Marble Water Fountain for Garden. The offered range is precisely designed by our skilled professionals using hi-tech tolls and advanced technology. In line with industry standard, we provide this statue in various attractive colors and sizes. Apart from this, clients can avail the entire range from us at market leading prices. In order to ensure quality, the entire range is stringently test on various parameters. 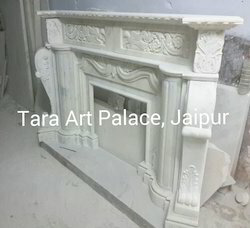 We offer customise size for Marble Stone Fireplaces. Also offer customised products services. 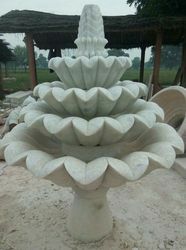 Looking for White Marble Fountain ?